Starting from our shop on Jl Batur Sari our local guide Anthony and or Komang will lead you north through the maze of small streets & gangs until you reach “Pasar Intaran” (Intaran local Market) where we will guide you through the stalls and you can try some local fruit and delicacies and explain how the local Balinese shop and obtain their produce. (This is where Komang was brought up and lives so you will see many of the people here know him so he can explain the life here or translate for you if need be). 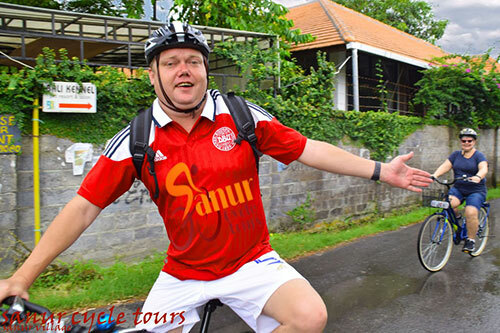 Our guide will then take you to ” Sindu beach. From there you ride South via the paved path, approximately 5 km, to Mertasari Beach .We then turn west and ride up a quiet road then turn into a quieter gang (path) on the Southside of Sanur. 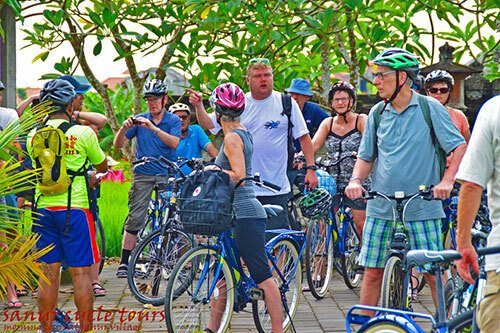 We then venture across Bypass Ngurah Rai at the traffic lights where you will ride west through a quiet road into the green area of Sanur, riding along a small biking path beside a canal which is used for recycling water to and from the rice fields and see the local people going about their morning activities tending to the rice and growing flowers and fruit. From here we venture back through some rice fields again and visit a local expats famed Beatles Museum filled with a lifetime collection of "The Beatles" memorabilia including 2 gold records of "Strawberry Fields" & John Lennon's Imagine! We then venture back to our starting point where the tour will end and you will be transferred back to your accommodation. You then have the remainder of the day to enjoy Sanur or relax on the beach or beside your pool. 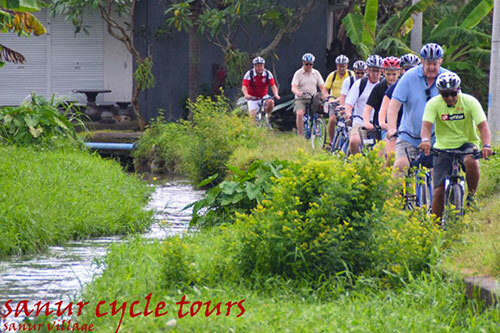 The route gives you the opportunity to see the real Sanur, mixing beach and countryside. 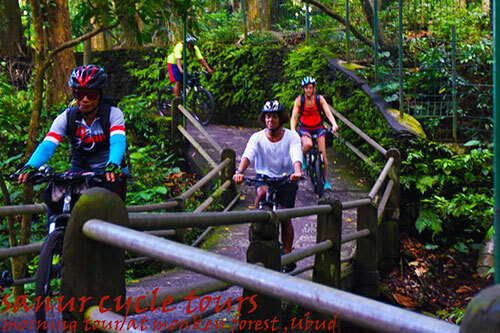 The whole tour will take approximately 3 hours and you will cover around 18 km. Includes 3-hour tour. 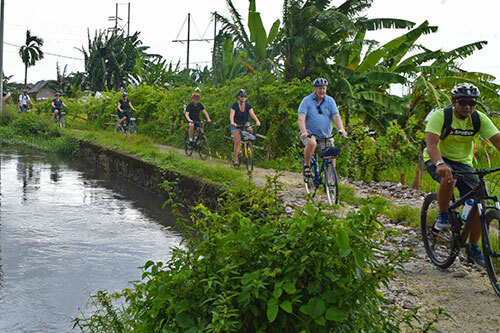 Experienced local guide late model bicycles riding helmet, hotel transfers and bottled water plus some local snacks. Please book via our Booking page. 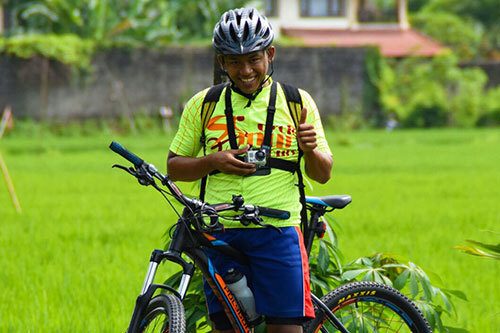 INCLUSIVE of Bicycle with helmet, experienced guide, drinking water, cool towel and a packed breakfast. 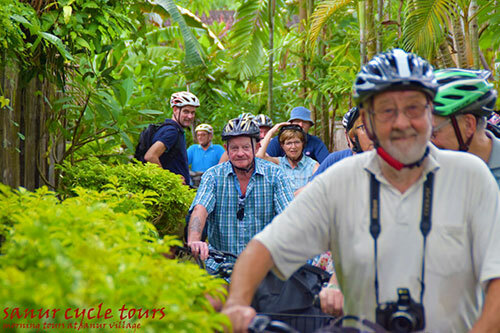 For a tour to go ahead we must have a minimum number of two (2) persons and a maximum of twelve (12) riders per tour. 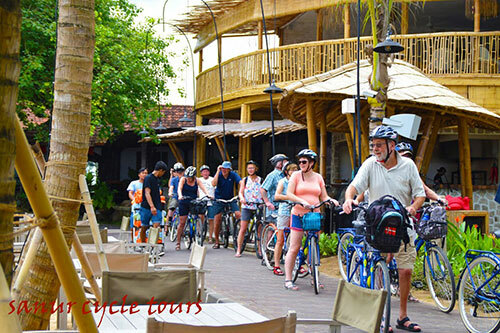 There is much more to Sanur Village Bali than just the tourist strip. 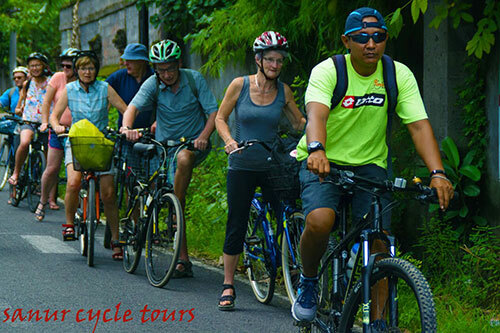 Our cycle tours offer a leisurely ride around Sanur visiting the traditional morning markets, beautiful rice fields, checking out the stunning flower nursery's and other places of interest returning along the beach side cycle pathway of the world famous Sanur Beach. 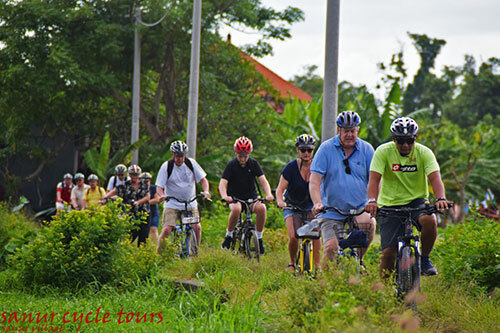 Combine the Sunrise and Morning Tours together for only Rp 500,000 per person. 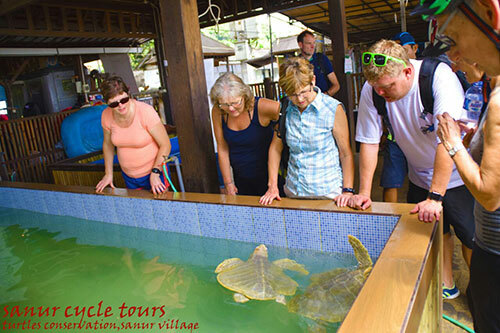 What is Included in our tours ? 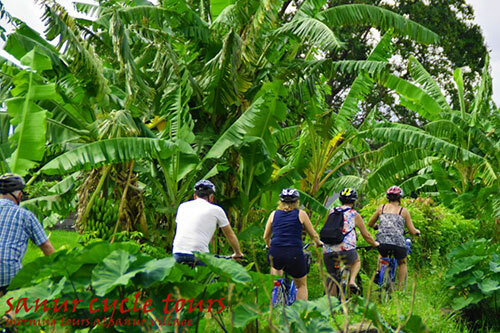 Our company, being safety conscious supplies all riders with sanitised helmets before each ride. A complementary bottle of water is supplied. On all morning tours a light breakfast is included. On afternoon tours the snack is included. 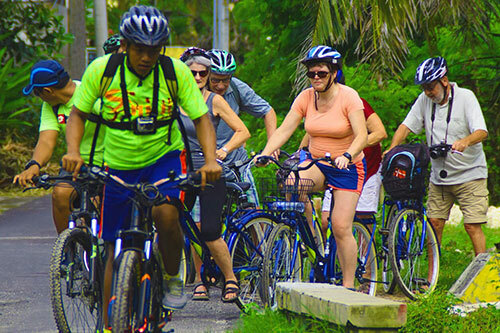 7 Day Tour all is included (free riding jersey and water bottle). 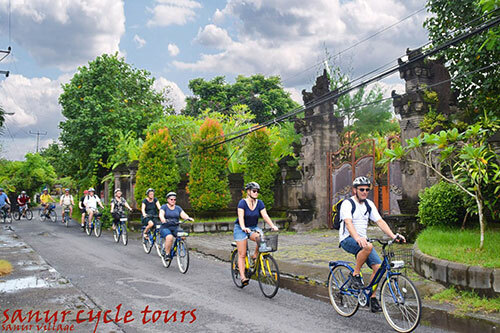 The holders of the above visas receive a discount on all our tours. Please email us regarding your tour and we will get back to you with the discount on each tour.